The home is normally considered our refuge from the outside world and therefore creating a beautiful home can affect our mental and physical wellbeing in a positive way. 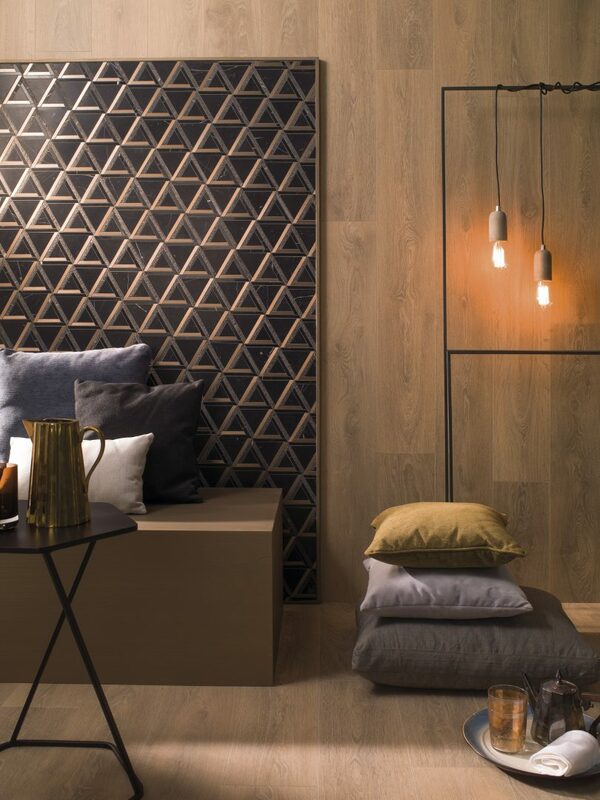 When it comes to home décor one of the materials that is guaranteed to make the greatest impact on our environment is the use of tiles, whether for the wall or floor. 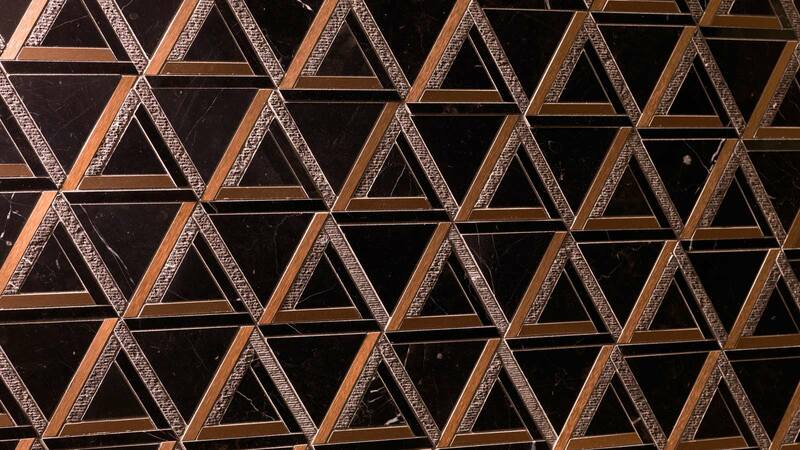 And one of the most impacting types of tile is the geometric tile. 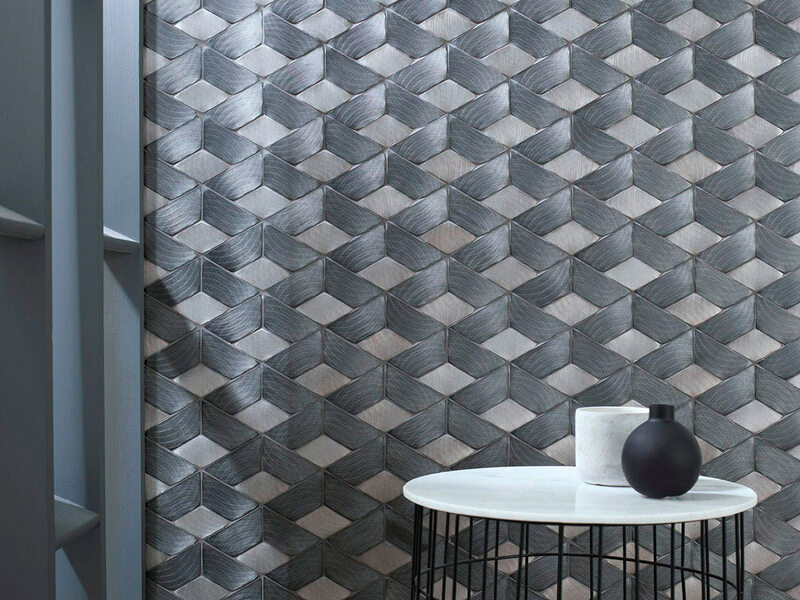 In other words tiles that are not square or rectangular with a geometric motif but that instead are angular in shape. When these tiles are laid in specific patterns they can create surfaces that stimulate the eye and provide a sense of movement or repose. Geometric tiles are especially suitable for use in bathroom and kitchen areas thanks to their durability and resistance to humidity. The angular, or geometric tile can be triangular, hexagonal, curved or irregular in shape. 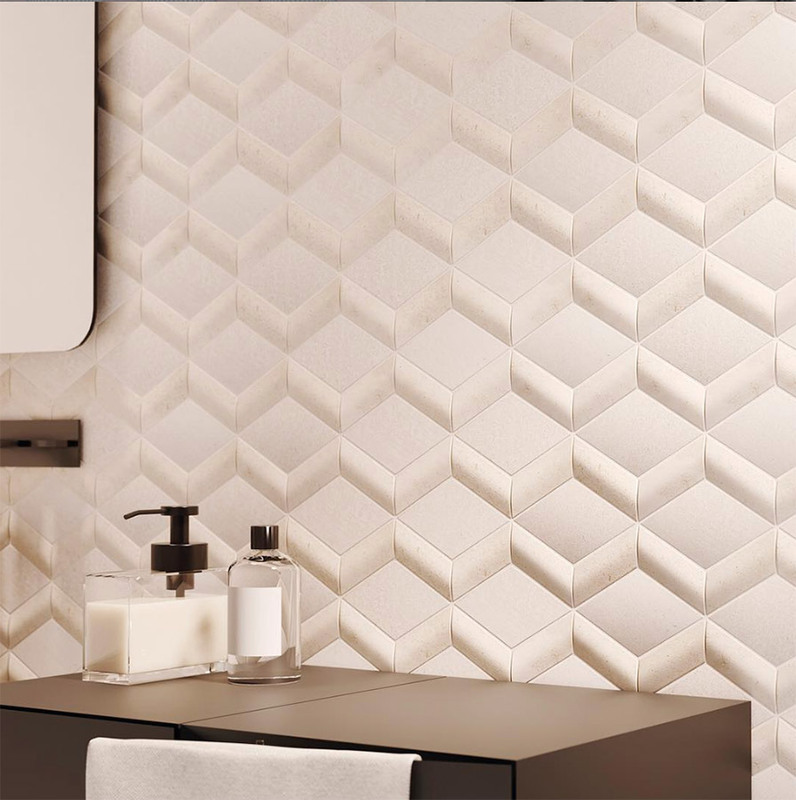 When used in the bathroom, depending on the size of the room, the entire wall surface can be finished with geometric wall tiles. 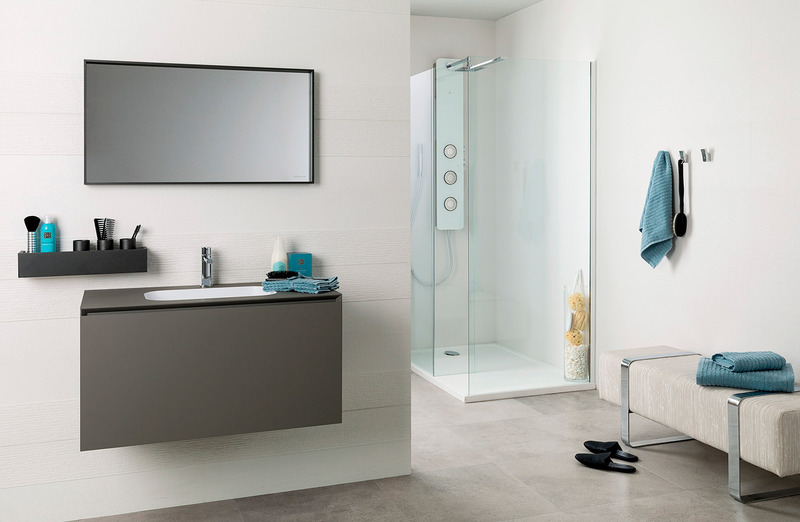 Or alternatively only the wet areas can be tiled including the shower, around the bath, over the wash hand basin and normally the entire floor. For the most successful application of the geometric tile for floor and wall surfaces the right scale tile should be chosen. That depends on the area in question, the size of the bathroom and the height of the ceiling. In general for small bathrooms a small tile will be more successful. 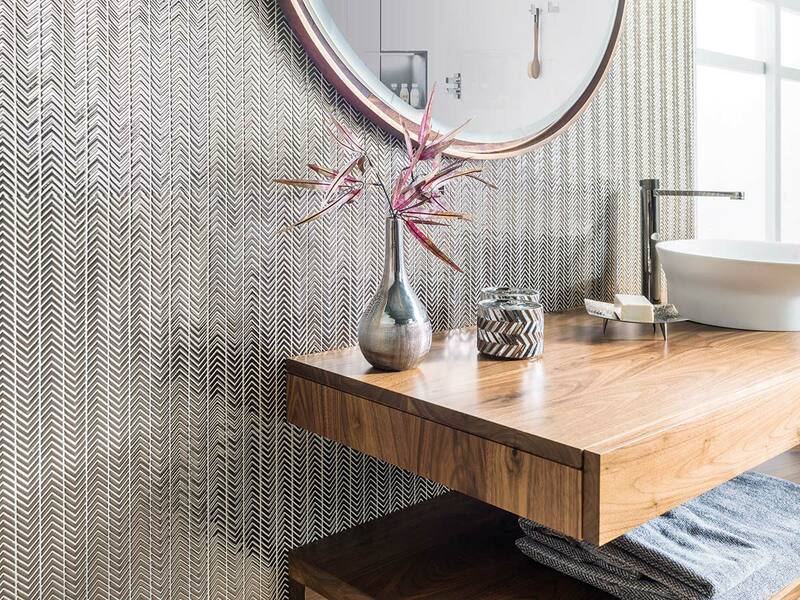 For larger surfaces the tile can be more generous or alternatively a small geometric tile can be combined with a larger regular tile to create interesting visual effects. 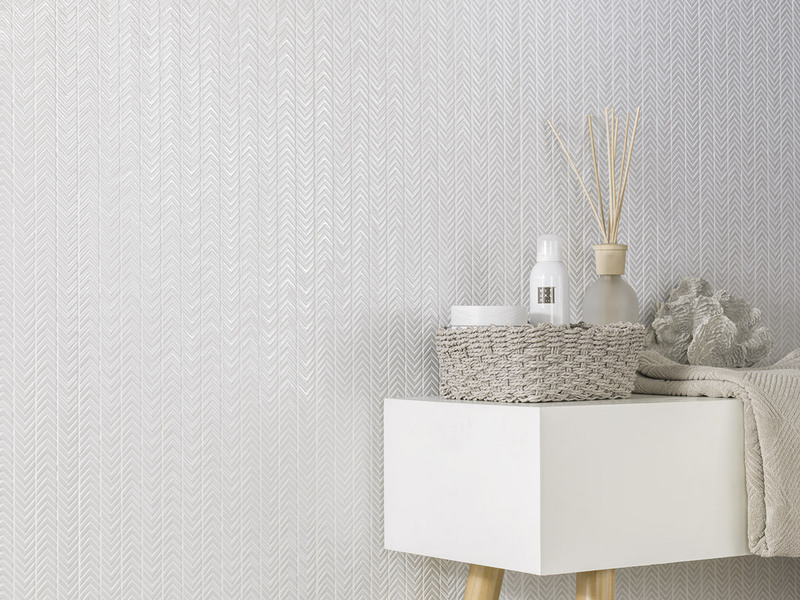 Geometric hexagon tiles are a popular choice for the bathroom which can be small or large in scale. 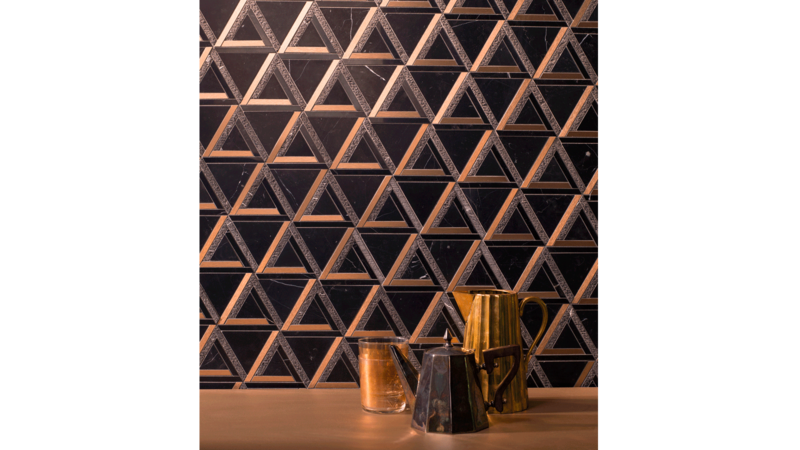 The geometric wall tile can be a designer feature when installed in small areas of the kitchen such as the splash back or behind the hob, the traditional areas that are most commonly tiled. 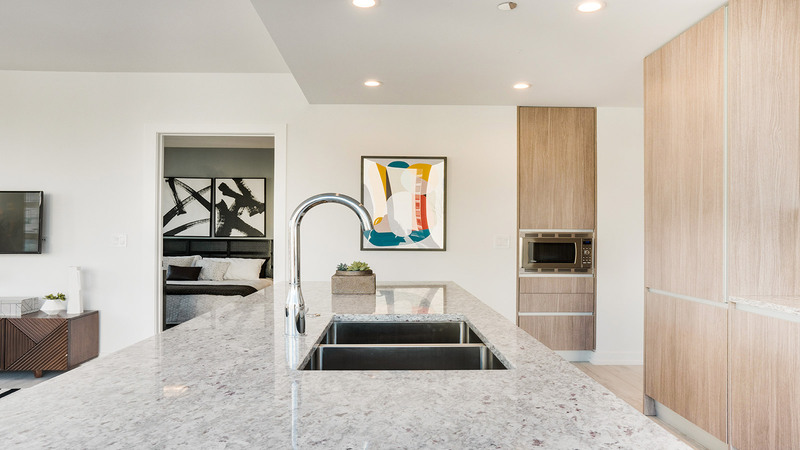 The tiles should compliment other features in the room, such as the cabinets and work surfaces by either creating a contrast or by matching the material in question. The geometric floor tile can also provide a practical and attractive finish for flooring in the kitchen. Easy to clean and highly resistant to wear and tear. 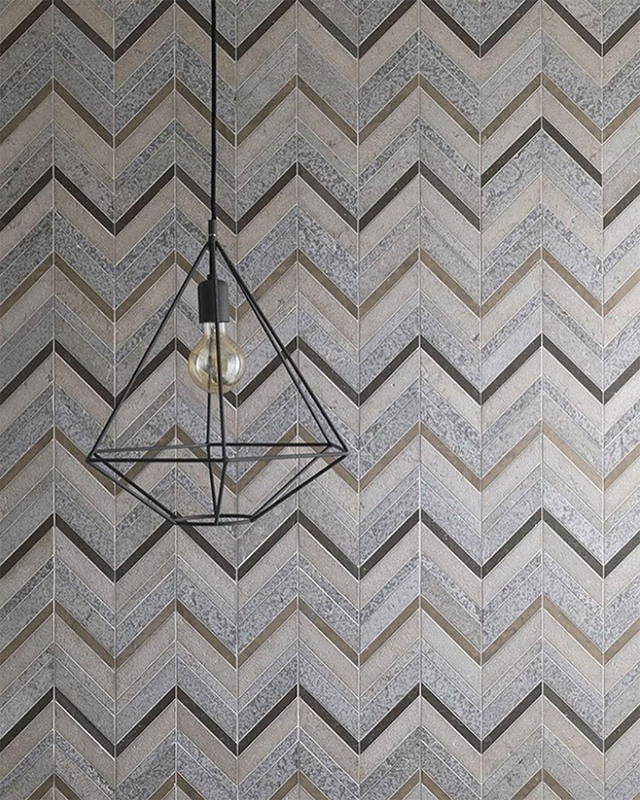 Geometric floor tile designs can create trompe l’oeil effects of depth, subtle or elaborate patterns that can differentiate separate areas within an open plan kitchen and dining area. To find ideas for creating statement walls and interior design features using geometric or angular tiles the architecture of the Arab world is a great source of inspiration. 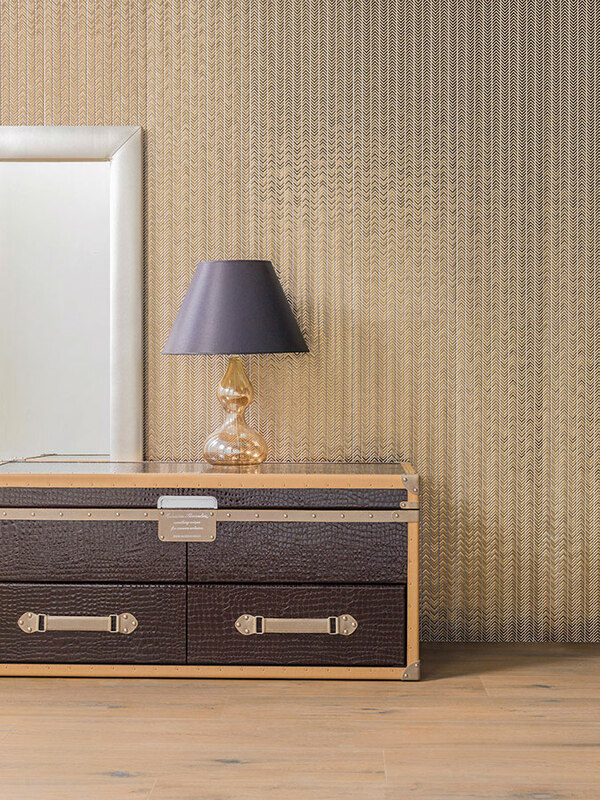 Sophisticated mathematical patterns and exuberant colours are combined in the creation of practical and beautiful surfaces. 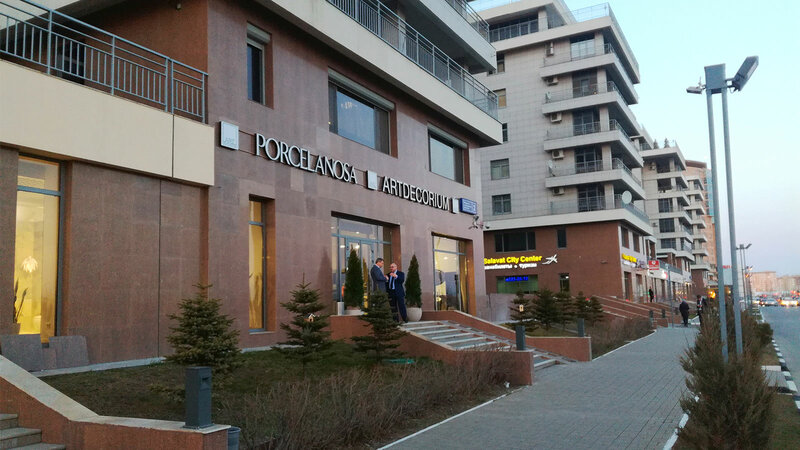 From historical to contemporary examples in both religious and secular buildings the use of geometric tiles is equally suited to wet or dry areas. Ceramic and porcelain tiles never loose their lustre and are easy to maintain. 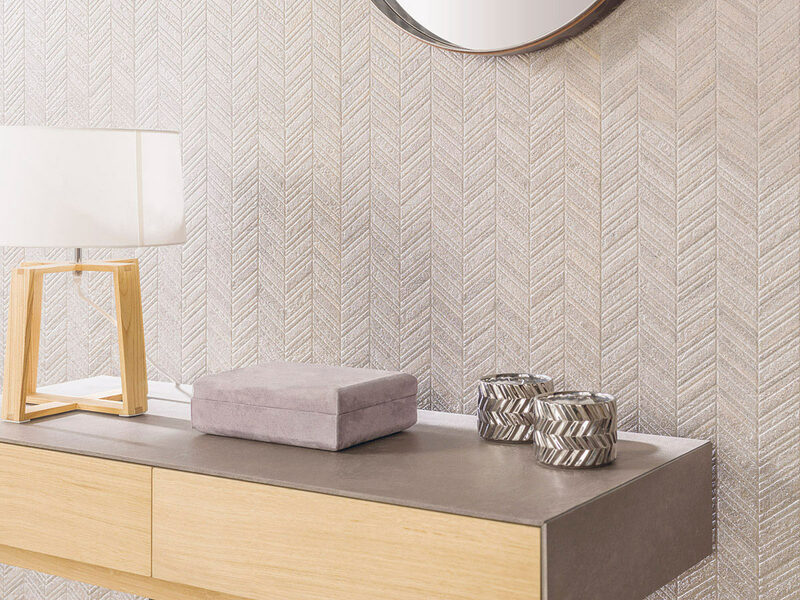 The use of geometric porcelain tiles for other rooms such as entrance halls or living rooms can provide a decorative feature or accent wall within an interior design project. Like a bespoke mural or other art work an area of geometric tiling can become a feature within an interior or exterior zone. The grouting should also be considered depending on the choice of tile. A coloured grout can radically affect the overall look.